The first step is to plug the shield, no need to detail how to do it, if you are not sure, just don’t do it ! It’s you own responsibility to plug and use this shield you do it at your own risk. 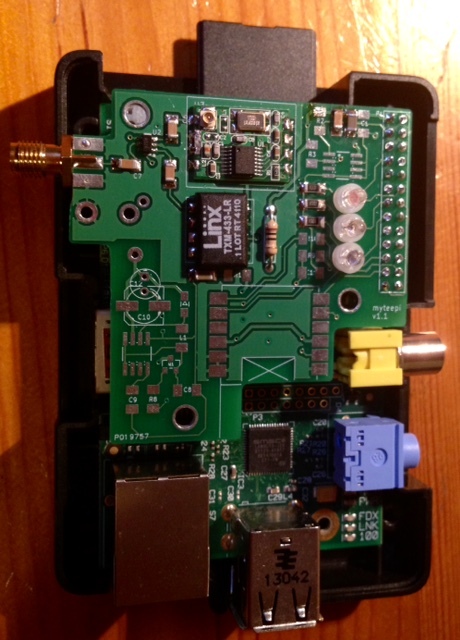 The shield has been done to fit in a raspberry pi A/B box like this one : So you can close it in a such box after having created the needed hole for leds & antenna. This look like this at the end (depending of the used antenna), this photo is not contractual ! 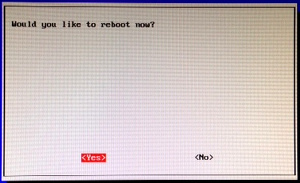 The flashing procedure is long, by pressing CTRL+T, you can get a status report. Once done, plug the sdcard, connect HDMI, keyboard then power the raspberry pi. The next steps are about basic configuration to get started. From the main menu, select expand file system : this is enlarging the file system to the whole sdcard (raspbian per default in 2GB, if your sdcard is larger, this process will allow you to access space over 2GB). 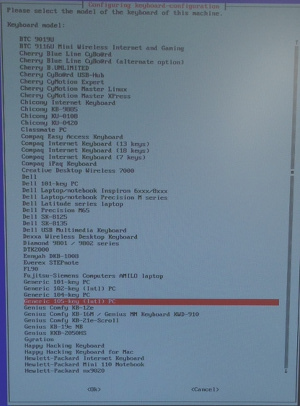 Just validate, raspbian will be back to this menu after expending process. Then Change Keyboard layout to match your keyboard entry. 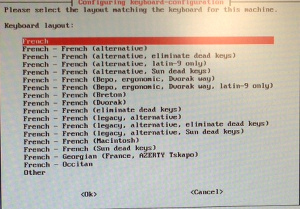 Select you keyboard type, generally, Generic 105 key is good. 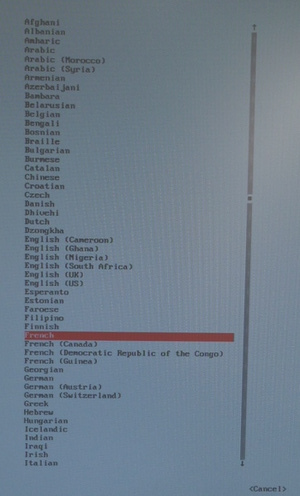 Select your language in the list (here french) – you have to adapt to your own language. This last step brings you back to the main menu. From the main menu, now select Change User Password entry, you will be prompted for a new password. 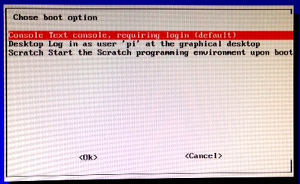 Now, the raspbian is configured, from the main menu, select Finish then reboot. 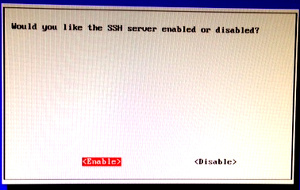 Now, you can log to the system in the console or from the network, with default user pi and the password you set. Depending on the type of Rapberry you have, you should modify de file version.h by commenting / uncommenting the needed line. 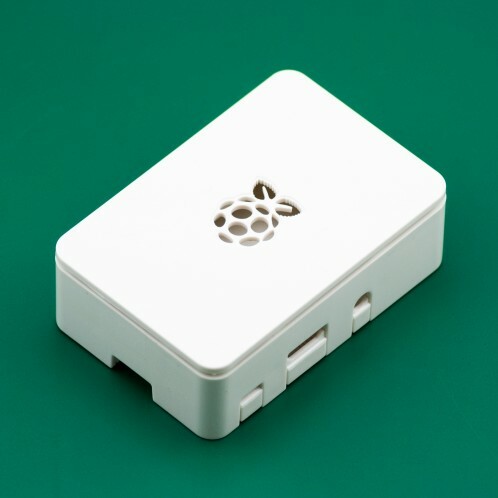 If you have a RPI 1 ; you don’t have to care about what it is above. For all, you need to compile and run ! 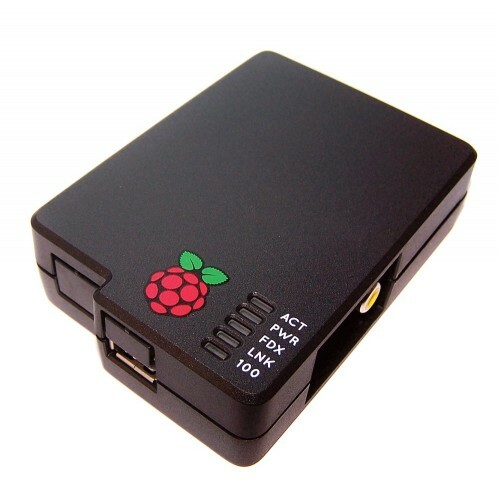 You must run the I/O configuration script on startup by adding the blue line in /etc/rc.local if not doing it, the raspberry will emit continuously noise and disturb other devices. The part in green is a shield health check procedure, the INIT event is send to the eventManager, this makes the 3 led blinking then emitting a 123456 message to ensure emitter and receiver are working. This part can be removed from main(). The part in blue is an example of message received from a sensor. The behavior can be modified from the eventManager.cpp class. 6 – Let’s Hack it ! RCSwitch is the lower end driver listening RF and decoding signals, it is where you can active some new layer 1 decoding protocol. RcOok is the layer 1 decoding system for miscellaneous protocols. It is where you can add you own layer 1 decoding protocol. Core433 is the associated Thread interpreting RF messages and creating the message to the eventManager once a message is received. EventManager is the state machine receiving the messaging and executing the expected actions like extracting and printing sensors data from a RF message. It is where you can add your custom code. Sensor is the layer 2 decoding protocol, at this level we are extracting the sensor measure from the received data, like temperature, humidity … This is where you can add you own sensors definition. Singleton is a really bad way, but efficient one to start all the threads and to allow an object sharing across the Threads. Have fun with this code, do not hesitate to upgrade it and push modification of this code, particularly if you are implementing new sensors, I’m sure all of us will be happy to use it as you can be happy to use the one already in it ! 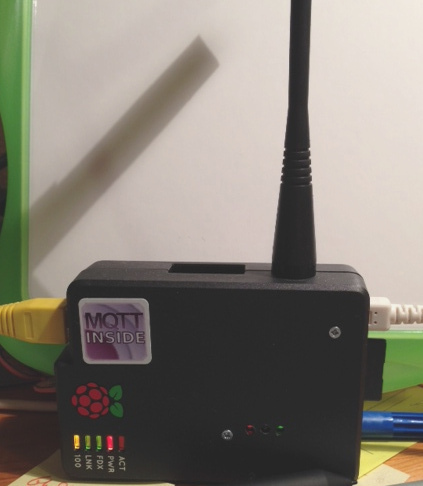 This entry was posted in IoT and tagged raspberry pi, rf433, rfrpi, shield. Bookmark the permalink. I think your software has potential for becoming the de-facto standard for using 433MHz devices on a Raspberry Pi, especially for receiving signals. We are a interested in this shield. Could you contact with us by email to tell you what we need?? I am interested in the shield. Send me info on it. 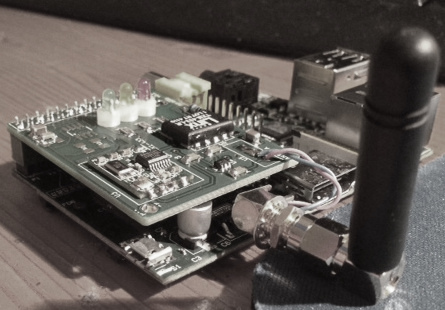 Your rfrpi shield, is the antenna connected to BOTH the RF433 sender and receiver… or only the RF433 receiver? I followed your Manual and tried to run the “rfrpi_test”. The LEDs blinked, but then the skript stopped and I had to cancel it via “Strg + C”. It is normal to stop the program with CRTL+C has it listen rf433 in a loop. Test should enqueue a message to send and you should receive it on the receiver. Ok, but it doesn’t send a message and doesn’t receive a message. I’m contacting you by email, will be more easy. If anyone has set this software up on a Raspberry pi 2, could you please let me know what percentage of the CPU is used when listening for incoming messages? I’m using it with a Rasp 2 ; the concurrent processing works differently and actually I have some issues as soon as the frame are long and subject to be reschedule. Working on a kernel driver to manage it better. I presume the code is written in C++? If so, would you be prepared to write a C++ wrapper to be able to parse the incoming receiver codes to a python script? Feel free to do it ! Are you still making this shield ? If so I would be interested in one. just to be sure, i’d like to set up my home automation installation using a Raspberry PI 2 + RF433 and ZWave. 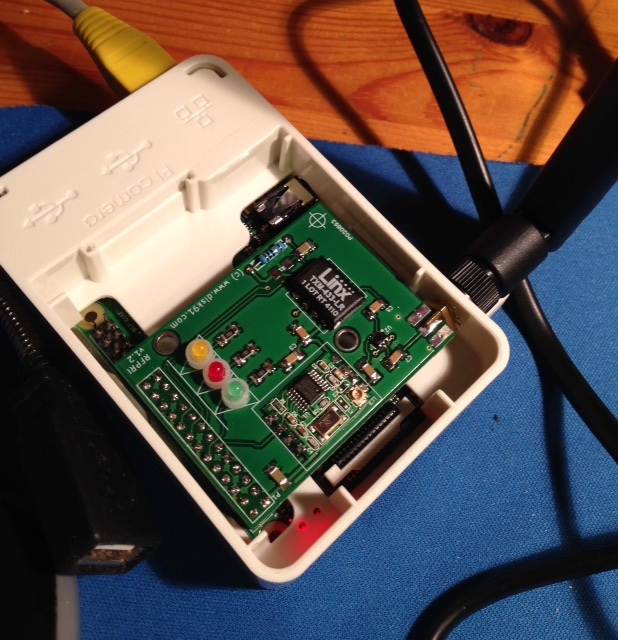 > Did you test communication between your Raspberry+shield and any RF433 module ? any feedback ? Then for my installation, i need to be able to combine Razberry shield with yours. > Is it possible to change your GPIO connector to a connector duplicating Rasberry ports to be able to plug another shield over it ? 2) Yes it would be possible BUT the actual version have some trouble with RPI2 and kernel scheduling evolution. I need to rework on the shield and actually not have time for doing it. So I do not recommend to start any RPI2 stuff with it. I would be very interested in a rfrpi card; if you are still making them. 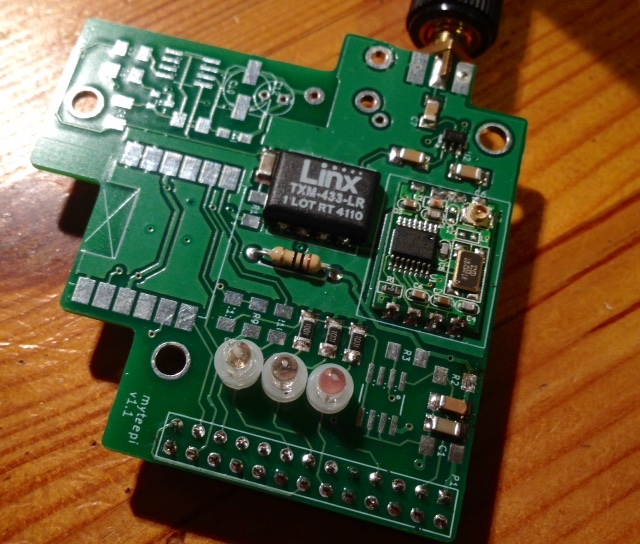 Interested in your RF433 shield. Are you still selling these? Does it work with raspberry pi 3? Have you tested it with a raspberry pi 3 and a 301 oregon scientific weather station? This is a fantastic board. Currently I am running Pi 2 and some cheaper 433 TX/RX chips for wall sockets on/off. Can this board do the same on a Pi 3? I do want to purchase one with an antenna. Let me know how to purchase one. J’essaie d’utiliser rfrpi pour récupérer les signaux de mon compteur d’énergie OWL 180. J’avais déjà mes émetteurs/transmetteur 433MHz basiques, mais suffisants pour contrôler mes Chacon sur mes radiateurs, qui sont sur protocole DIO. Bizarre : les messages que j’émets depuis mon raspberry Pi3 pour piloter mes DIO sont bien reçus par RFRPI, avec le début de message DIO_ qui est interprété. Par contre, l’émission depuis la télécommande DIO, ou bien les émissions de mon OWL ne sont pas détectées. Je n’ai pas compris ce qu’étaient les RX_ENA et TX_ENA, dois-je ajouter des antennes sur les GPIOs du RPI ou est-ce optionnel ? RX_ENA and TX_ENA allows to control the RF switch as in my board we have one antenna but 1 emitter and 1 receiver so you have to switch to the right mode. As you are using RPI3 I suggest you take a look to my post about kernel module for rfrpi as the way the RPI scheduler works in RPI 2/3 differ from what it was when I built the solution some years ago with RPI1. The way RFRPI works it needs to get realtime interrupt processing what the user mode does not allow. Thank you for your reply Paul. 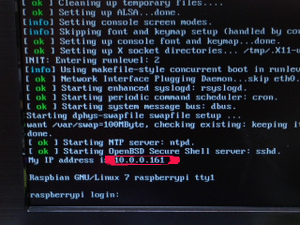 Reloading a new image of raspbian and modify the kernel is a heavy task ! I assume that ESP8366 should be able to make it working, you may have some work to port the existing code but not so much.